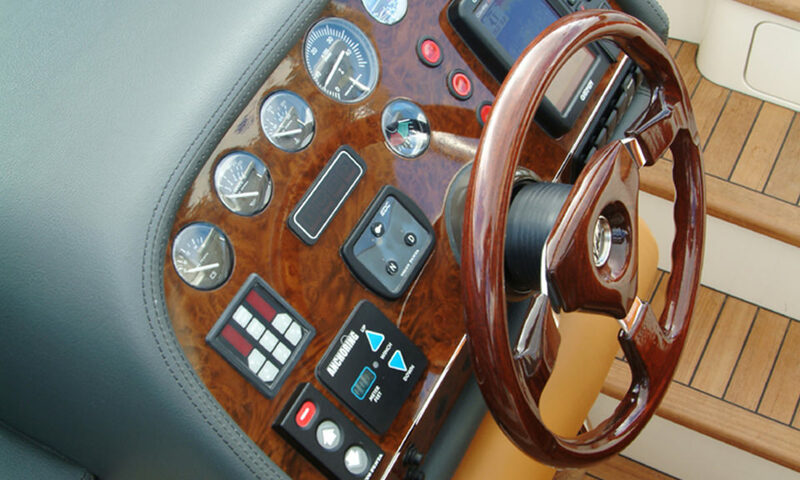 This iconic Limousine has strong Italian design influences. 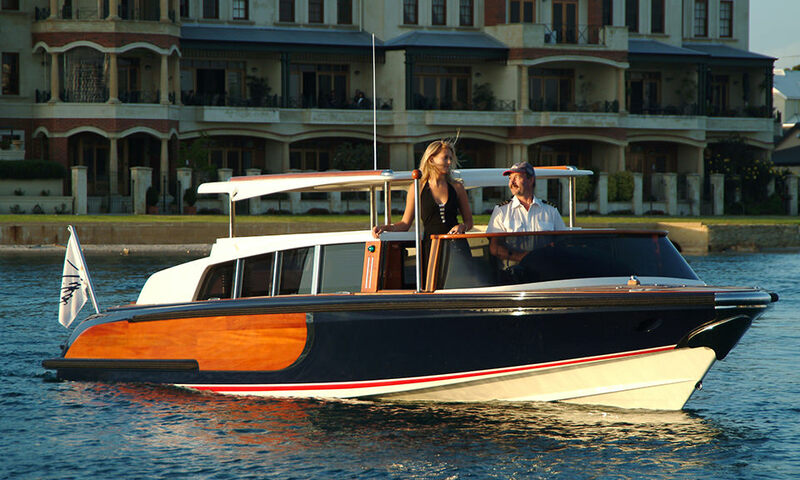 However, it was designed locally in Fremantle, Western Australia by renowned designer Sam Sorgiovanni. 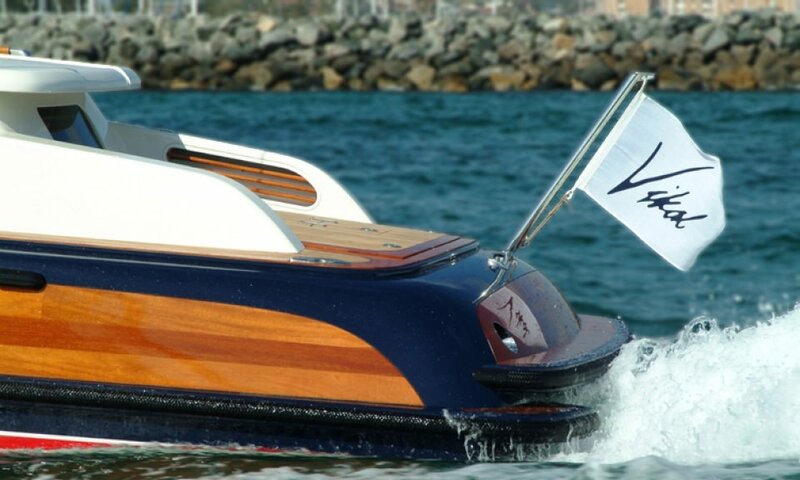 The mix of solid mahogany, teak and a deep blue hull served to produce a classic design with that signature Italian feel. 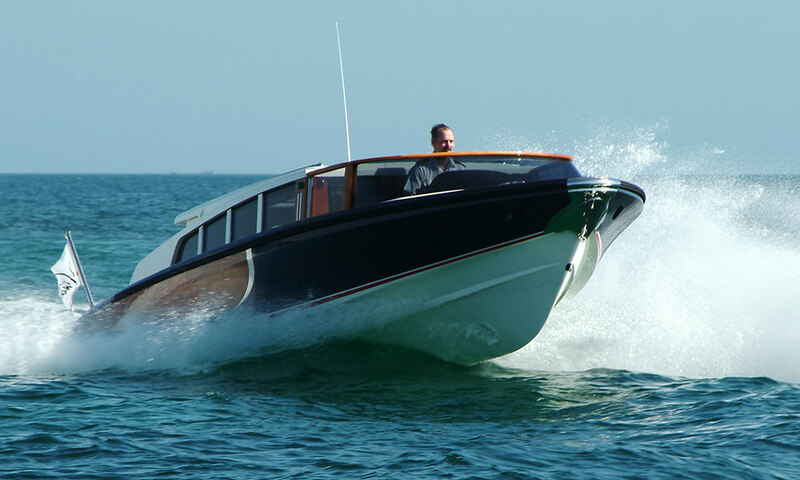 This 8.2 metre was built light with a single Diesel installation which produced a top speed of 37 knots. 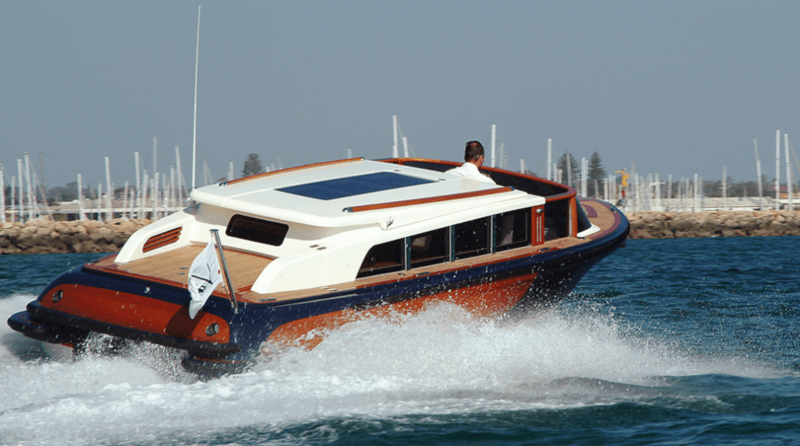 Boasting a sumptuous air conditioned leather interior and a raise-able / retractable roof providing full headroom on boarding and disembarking. 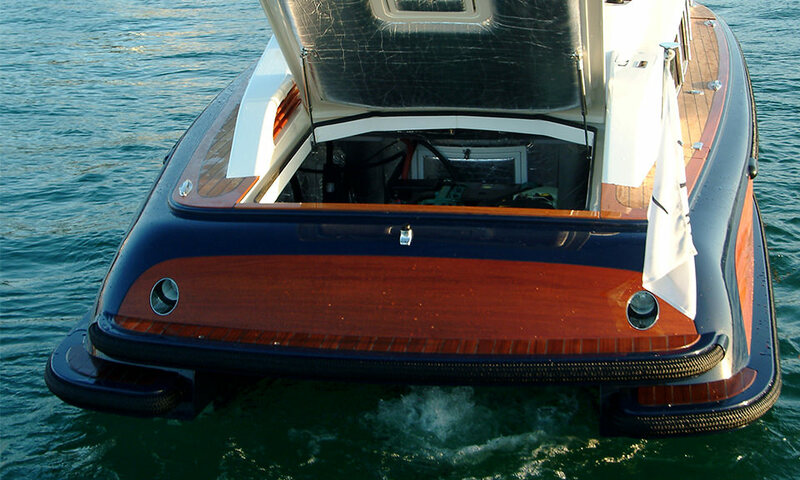 Finished with custom stainless steel cast deck fittings and electric side windows, she is a beauty to behold.